Zoige Plateau wetlands are located in the northeastern corner of the Qinghai-Tibet Plateau. 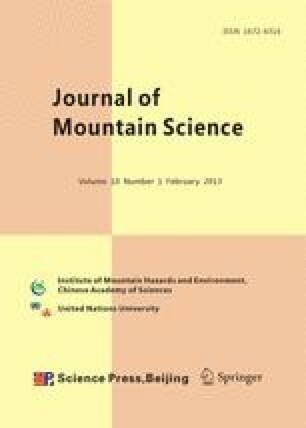 The landscape pattern evolution processes in the Zoige Plateau and their driving factors were identified by analyzing the dynamic changes in landscape modification and conversion and their dynamic rates of alpine wetlands over the past four decades. The results showed that the landscape conversion between wetlands and non-wetlands mainly occurred during the period from 1966 to 1986. The marsh wetland area converted from lake and river wetlands was larger because of swamping compared to other wetland landscapes. Meanwhile, the larger area of marsh wetlands was also converted to lake wetlands more than other types of wetlands. The modification processes mainly occurred among natural wetland landscapes in the first three periods. Obvious conversions were observed between wetland and non-wetland landscapes (i.e., forestland, grassland, and other landscapes) in the Zoige Plateau. These natural wetland landscapes such as river, lake and marsh wetlands showed a net loss over the past four decades, whereas artificial wetland landscapes (i.e., paddy field and reservoir and pond wetlands) showed a net decrease. The annual dynamic rate of the whole wetland landscape was 0.72%, in which the annual dynamic rate of river wetlands was the highest, followed by lake wetlands, while marsh wetlands had the lowest dynamic rate. The integrated landscape dynamic rate showed a decreasing trend in the first three periods. The changes in wetland landscape patterns were comprehensively controlled by natural factors and human activities, especially human activities play an important role in changing wetland landscape patterns.